It’s always a funny week – the week before the Tour de France. There’s no cycle races on TV, just a week of speculation, talk and bog-standard questions and answers with the riders. I’m not a betting man, but if I was. I think the Tour Prologue would be a good bet. Tom Dumoulin (7/2) – Dumoulin has tremendous power and one of the best time trial positions I’ve seen. This is the best odds I’ve seen. Alex Dowsett (33/1) – An outside bet for the prologue. Unfortunately, I don’t think he will make it, though I would still rate his chances at better than 33/1. The prologue is actually a short time trial – close to the 10 mile TT – where Alex holds Comp record at 17.20 – a time even Bradley Wiggins couldn’t beat on a windy day on the V718. Geraint Thomas (50/1) Again, deep down, I can’t see Thomas at the top of podium come the end of the race. You can guarantee Thomas will be there or there-abouts. The strength of Thomas is that he is an excellent all-rounder – but just not quite the out and out short distance time trial specialist. Last year’s tour was a bit of a disappointment with top two riders Froome and Contador crashing out – and Quintana recovering from Giro d’Italia. Nibali was in imperious form, but this year there will be a clash of the big four. It looks, on paper, the most mouthwatering tour for quite a long time. It’s really hard to see, all the big four can make a very good claim to have a realistic chance. Contador – the best grand tour rider of his generation. Possibly tired from the Giro d’Italia, but he didn’t show much fatigue in the Tour du Sud. Froome – Hard to believe he’s only won one Grand Tour, when with his talent, he perhaps should have won quite a few more. This year, the competition will be tougher than previous years. But, he can climb with the best. Perhaps his biggest test will be the first 10 days and the flat, classic-style roads. Team Sky have looked a little vulnerable in previous years, but this year’s tour team is very strong. Just look at the names who didn’t make the final team cut. Quintana. – At 59kg, Quintana is the out and out hill climber of the race. If there was a long flat time trial, it would be hard to see him in yellow. But, this year’s tour has almost been designed for Quintana. He hasn’t been racing much – having trained in Colombia at altitude, but he’s at the age where he can still make improvements from previous years. Just like 2014, Nibali’s form and results has been pretty scant. At the Dauphine, he looked distinctively second best to Froome. It would be tempting to write him off – except last year he did exactly the same and came to the Tour de France a different rider, hitting peak form at just the right time. Not to diminish his 2014 victory, but perhaps the most likely to end up losing time to the better climbers of Froome, Contador and Quintana. Thibaut Pinot of France will be one to watch. Again, like Froome, he may struggle to contain his losses in the first week. He seems a little nervous on fast, hectic finishes. But, when the mountains come, he will come into his own. Tejay van Garderen. The best American. Looked in good form at the Dauphine, losing only a few seconds to Froome. Agree 90% with your predictions, but think that Nibali will be much stronger than in the Dauphine. I watched some of the coverage and it was clear he was doing 1 hard day then one easier. 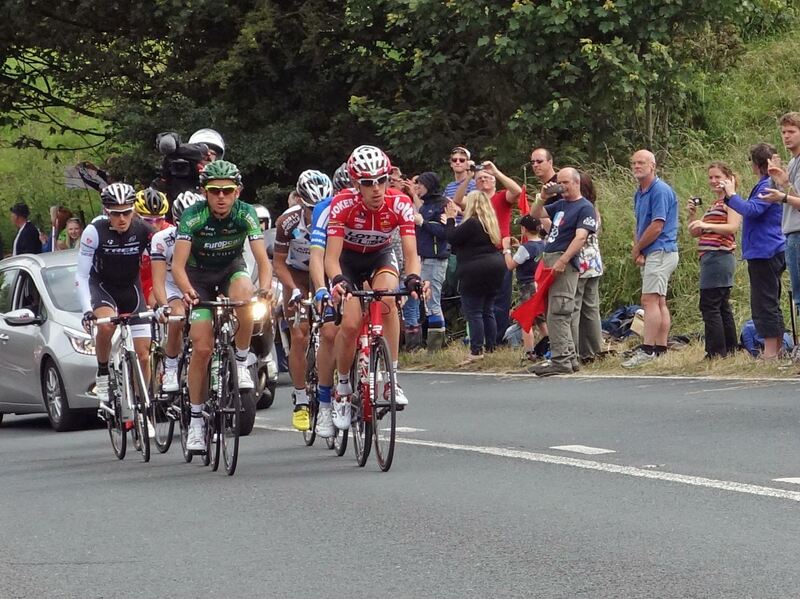 Check the single turn he did at the front on the last day which took the peloton from maybe 100 riders to about 5. Then TJvG I think is already over cooked. No matter what he says about his form I’m convinced he will fade in week 3 as he seems fragile over 3 weeks.